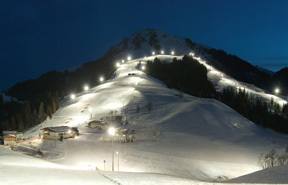 The largest night skiing area in Tirol. 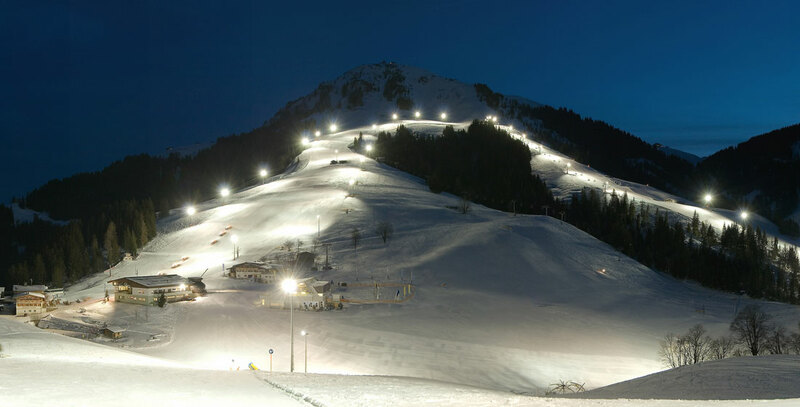 From Wednesday to Saturday until 10.15pm you can enjoy perfectly prepared pistes with 10 km of flood lit ski runs all the way to the valley. The existing 3 km long floodlight valley home run in Söll has been extended by a further 3 runs in Hochsöll. The Salvenmoos – Keat – and Hexen6er runs turn night into day. 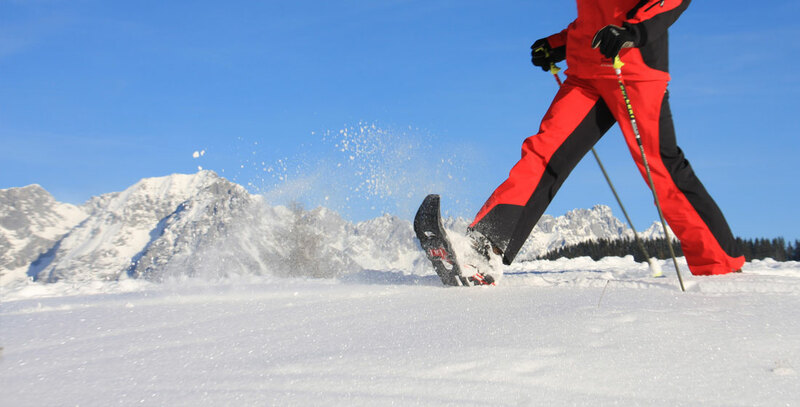 Backcountry and off-piste skiers can enjoy the freedom of the mountains, skiing individual routes, or enjoying the accompaniment of an experienced and certified backcountry ski guide. 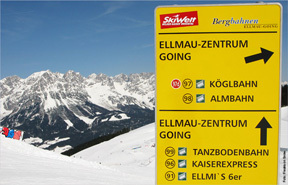 For those who prefer there is a huge amount of off-piste skiing to explore around the 279 km of pistes in the SkiWelt. 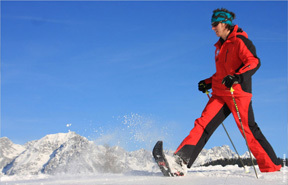 We also offer ‘ski safari’ routes which are marked ungroomed ski runs. 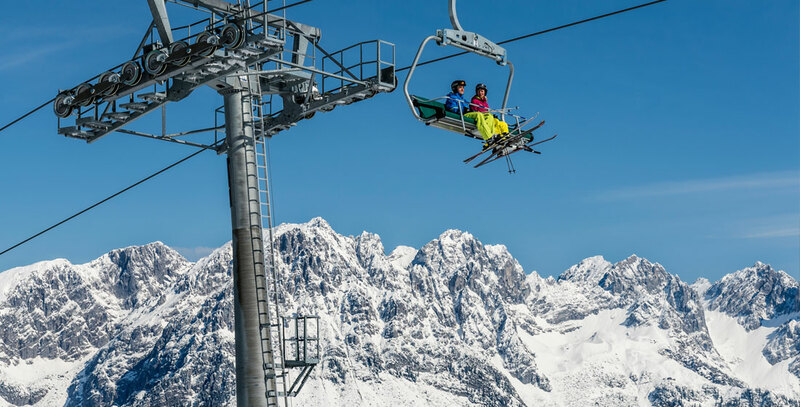 It’s not just traditional alpine skiers who get their highs out of the Wilder Kaiser region in winter. Freestyle and free ride skiers and snowboarders have also plenty to smile about. 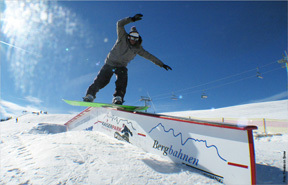 Whether on one board or two, freestylers can now get their adrenaline rush at no fewer than three funparks within the SkiWelt-Wilder Kaiser-Brixental, including a new fun slope. Our fun parks offer fun for all free riders, from beginners to jump freaks, with thrills and spills guaranteed. 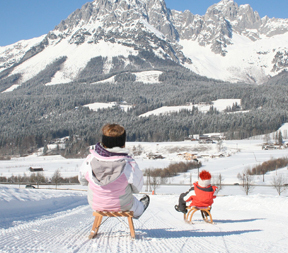 With their numerous flood lit toboggan runs the Wilder Kaiser region is a well-known and popular tobogganing destination. 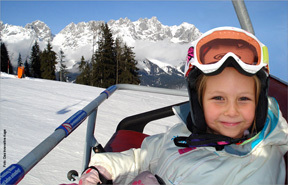 A total of 16 km (most with snow-making) spread over five toboggan runs, ensures fun and excitement for the whole family. 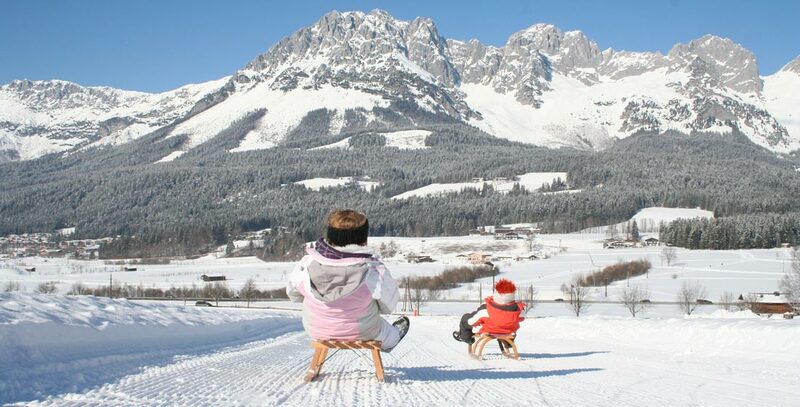 Whether you prefer a romantic forest track, as from the Graspoint Niederalm Tannbichl, or the more athletic 4.5 km long toboggan run on the Astberg, there is something to satisfy all toboggan fans. The toboggan runs are flood lit, turning night into day for even more fun! 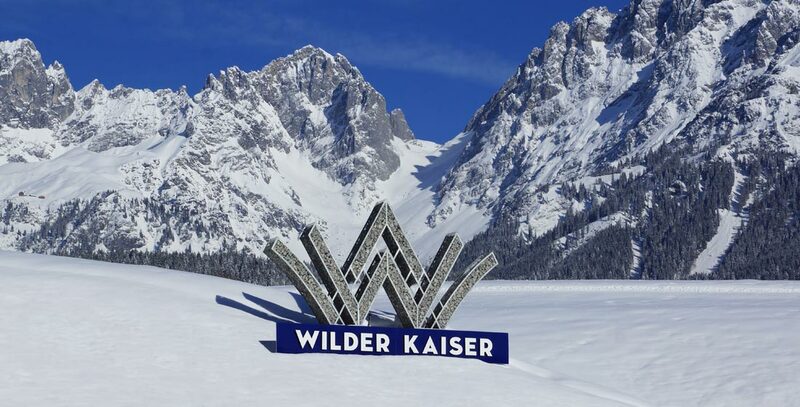 Experience the adventure of guided snow shoe hiking or enjoy a nice walk through the beautiful winter wonderland of the Wilder Kaiser region. 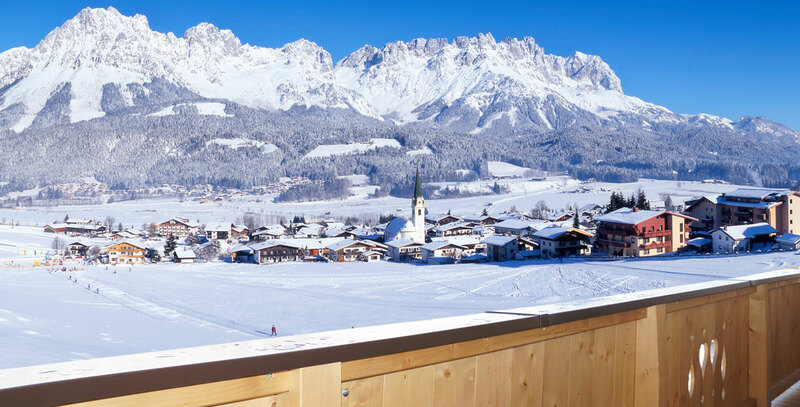 We offer 113 km of winter hiking trails nestled between the sunny foothills of the Kitzbüheler Alps and the gently rising slopes of the Wilder Kaiser mountain range. 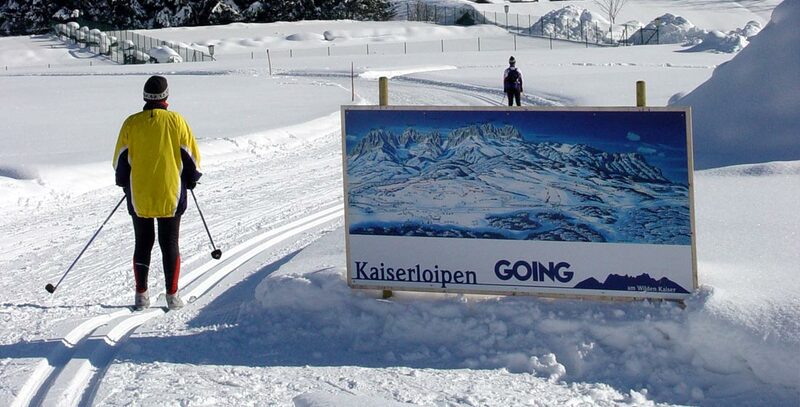 On the gentle hills at the foot of the Wilder Kaiser is our spectacular cross-country skiing paradise. 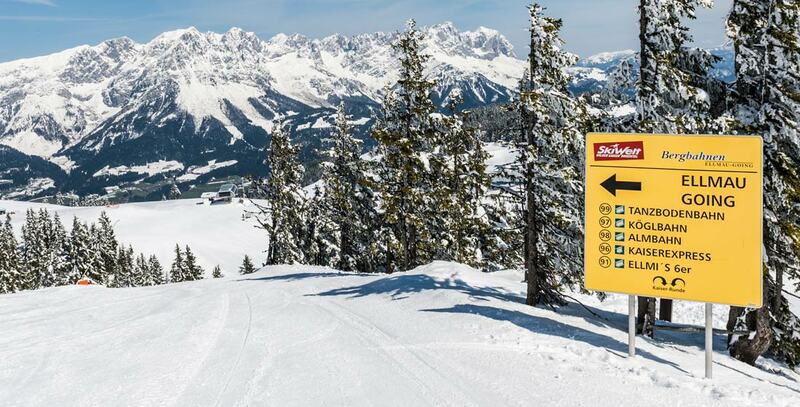 In the sunny valley between the villages of Going, Ellmau, Scheffau, and Söll lie our beautiful and superbly groomed cross-country trails. 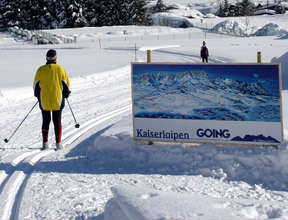 The region Wilder Kaiser offers over 70 km of cross-country routes for beginners to experts. 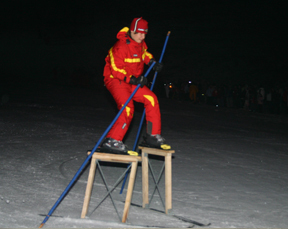 The weekly spectacle opens with an international Flag parade and continues with various skiing demonstrations and synchronised skiing formations from the instructors of the Ellmau ski schools. 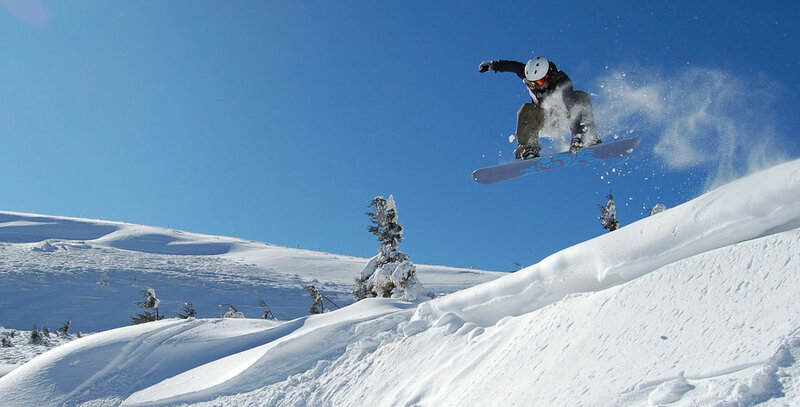 There is also “old timer” historic skiing demonstrations and a spectacular paragliding show. The show concludes with the “Pistenbully Parade”, where these powerful machines come down the mountain in formation. Free entrance.